In this article we detail all you need to know about the 888Sport Bet £10 Get £30 in free bets sportsbook sign up offer (previously treble odds). This includes a step-by-step guide on how to claim the promotion, how to use your free bets and bonuses as well as the key terms and rules you should know about. T&C’s apply. What Is The 888Sport Bet £10 Get £30 Free Bet Sign Up Offer? 888Sport are one of the fastest growing online bookmakers around largely thanks to their plethora of fantastic value offers and rewards, plus top odds across a range of sports and markets. For those yet to have joined, 888Sport are offering all new customers Bet £10 Get £30 in free bets. T&C’s apply. Open an account using 888Sport promotion code ’30f’ on the registration page. Deposit £10 or more and place a £10 bet on any market at odds of 1/2 (1.5) or greater with the Company. 888Sport will then credit your account with £30 in free bets. T&C’s apply. Your £10 qualifying wager can include as few or as many selections as you like (includes Each Way bets) which can be on any sport and any market, providing the combined odds are equal to or greater than 1/2 (1.5). Firstly, click here to head to the 888Sport Bet £10 Get £30 in free bets sign up offer landing page. Create an account using promo code ’30f’. Place a £10 bet on any market at odds of 1/2 (1.5) or greater. 888Sport will then credit you with £30 in free bets. T&C’s apply. That’s right, we’ve teamed up with 888Sport to offer followers of ThePuntersPage.com a completely free no-strings-attached £10 free bet as well as the customary Bet £10 Get £30 in free bets offers. Must be used in their entirety. Expire 7 days after credit. Here’s a three-step guide to registering with 888Sport. 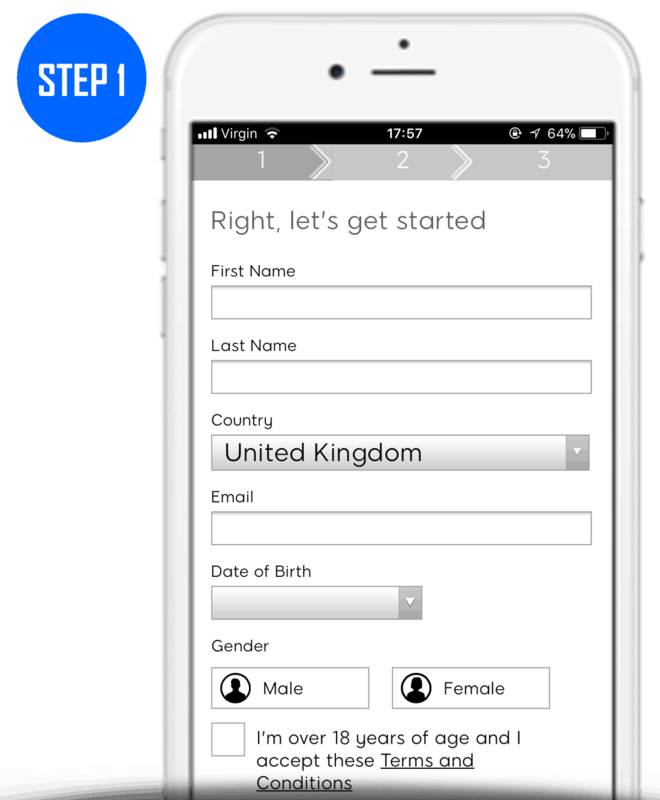 Step 1) Fill in your details on page 1. 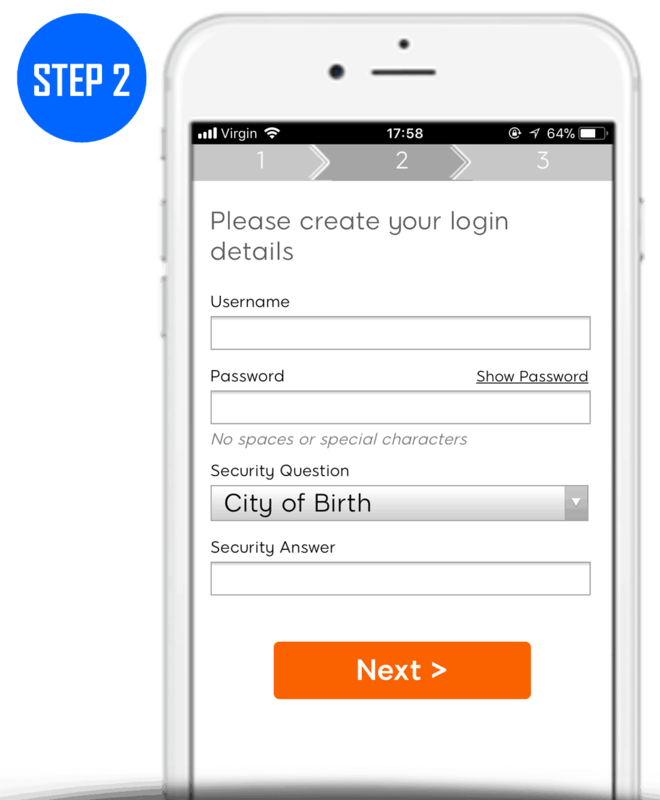 Step 2) Create your login details. 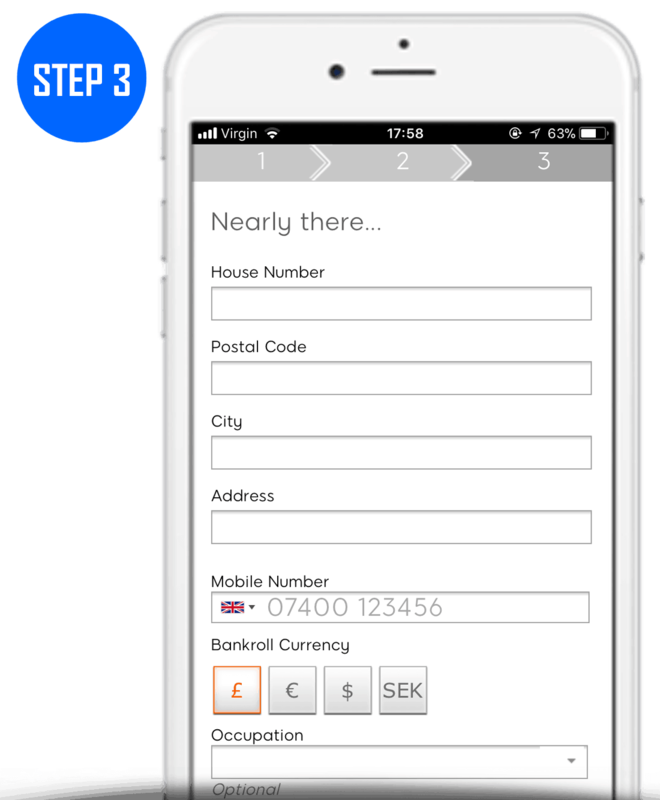 Step 3) Fill in your address details. There are a number of terms you should be aware of regarding 888Sport’s Bet £10 Get £30 in free bets joining offer. We’ve detailed the main ones below although you can find the full T&C’s on the 888Sport website. Must use promotion code ’30f’. 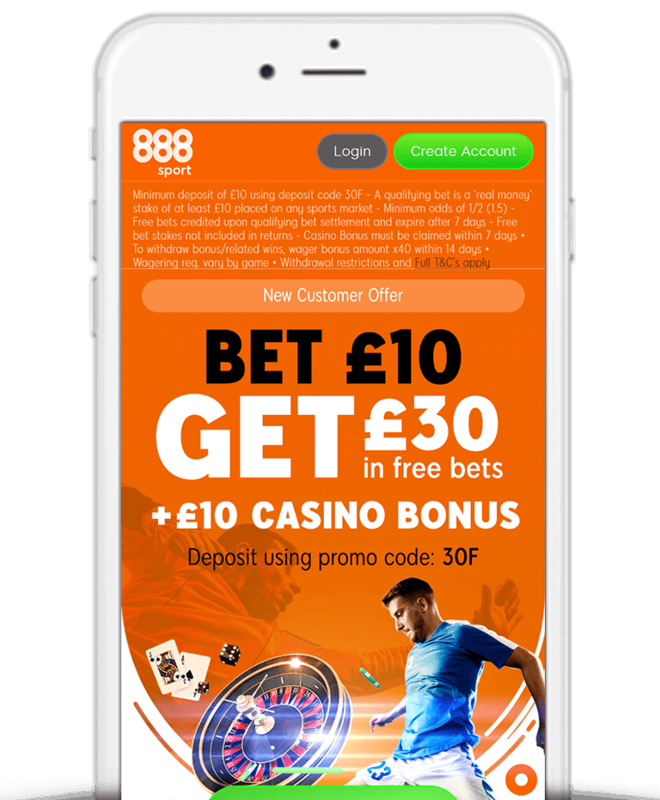 888Sport’s Bet £10 Get £30 offer for new customers is essentially a 300% bonus as you’re getting 3 times your initial bet. Furthermore, the fact that the free bets are split into 3 means you have more possibilities to win and also more opportunities to get a taste for the 888Sport website itself. A great way to get started for any new 888Sport customers.